What’s up, everybody? 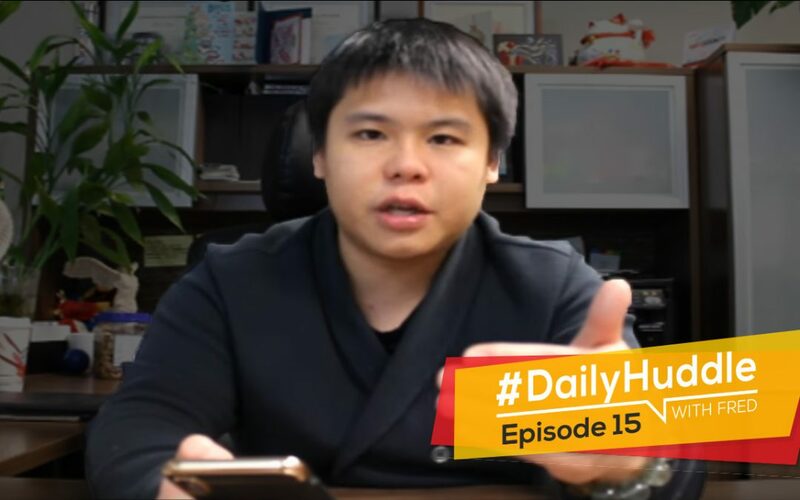 Fred Lam here and welcome to our daily huddle episode 15. First thing first, I do apologize that last Friday and yesterday, Monday I wasn’t able to come on live for our daily huddle and the reason is that I was actually travelling. It was from commuting to the airport and everything and it took me around 78 hours. It was right at the time that I can actually come on live where you guys are actually going to be there. I don’t think it’s wise for me for to come on at midnight only because I think that a lot of people are currently sleeping unless if you are from UK or any other places that are outside of North America. Before I go into any details of what we’re going to discuss today, obviously answering five questions; I want to be upfront. My energy level isn’t that high right now, I’m actually having a cold but at the end of the day, I want to show you guys my dedication so even though I’m sick right now I’m still here to host our daily huddle since that I’m now back to the office to be here with you guys to answer five questions. If you have any questions that you want to get featured in our daily huddle all you have to do is go to www. fredlam.com/ask. I know that you guys obviously missed me for not being here on both Friday and Monday. Put in the word I miss you or something right into the Facebook chat or right into YouTube so I can see if you guys actually miss me. For those of you who are actually here the first time and never heard about our kick start 500; it goes like this, every single week I’m going to invest into one individual who’s really serious about building online business or building a business in general but they simply need that extra $500 just to get started. There is an application form that I have at www.fredlam.com/500 where you can actually submit the form to me and I’m going to review every single one of them and I will select the person who I think that is serious about building a business that has a vision and that will take action. From there I’m going to basically grant the $500 and if he or she gone through everything that I told him or her to do, I’m going to jump on in a one hour consultation call to help that person and that maybe you at the end of the day to actually build, grow and scale your business online. Without further ado, you can see that today’s topic is a little bit about refunds for Shopify and Aliexpress drop shipping. Moving on, let me go and actually get into the five questions for today. Based on the inventory arbitrage concept, how do you handle the returns? Especially considering that you never see the products before you sell them so you don’t really know what quality they are. That is a great question. That’s in or today’s topic which I talk about refunds and all those other refund stuff. Here’s the deal, there are actually two questions within that one question that you asked. Let me address the quality part first. For me, take a look at this over here. This is an iPhone X phone case and I have to tell you this phone case is a much higher quality than any phone cases that I see locally in my area. Guess what, I bought this from Aliexpress. I know the quality is good. Look at all the finishing, it is absolutely nice. The reason why I know that the quality is good is that inside Aliexpress you get to actually see other people’s review. You’re basically crowdsourcing every other people who are buying from that vendor to see if there’s any problem on the product, if there’s a quality problem and if they’re not receiving the item. There’s a star rating for every single product that is being sold on Aliexpress so you can actually see from other people who bought the product if the quality is a problem or not. If you want to be absolutely safe well guess what, you can order the product yourself and actually take a look at it yourself. Going on to answer the question about refunds, here’s my rule of thumb when it comes to refund for a drop shipping product or inventory arbitrage product. I look at what my cost of goods is going to be. Let’s say that my cost of goods including shipping is less than $10, I don’t think it is wise for me to actually ask my customers to fill out an RMA form to get them to ship back the product to me before I issue them the refund. Let’s be honest it’s going to take me like 30 minutes or an hour for a customer service rep to deal with that customer and it will be a waste of time for a product that’s less than $10. What I typically do, I tell the customers, “We know what you didn’t like this product, we heard it and you know what as a gift to you and we want you to come back our store , more often, you can keep the product and we’ll refund you the product minus the cost of shipping.” So obviously you save some money right there. You’re not refunding a 100% you’re just refunding the product cost itself and not the shipping. This is actually very typical for you to just refund the product that they bought for and not the shipping. Obviously, you have to pay the shipping. You don’t own a shipping courier so that is absolutely going to be fine. If it’s a product above $10; let’s say that my cost of goods are like $20, $30 or $40 well guess what at the end of the day I want to actually make sure that I’m not having a big hit in my financial so what I normally do is get the customer just ship the product back. I tell them ship it to a PO Box address that I have or directly to my office so that I can actually collect all the refund products and guess what I can do? I can send out email when I have like 10 or 20 different products that were returned; I call it the refurbish product and resell it back to my other customers at the same time. These are the two strategies that I run, again depending on what the cost of the product is going to be and what make sense for you and your business. Ultimately at the end of the day it’s actually going to be fine, you’re not going to have a lot of people refunding because when it comes to a physical product your refund rate should be less than 5% and if your refund rate is higher than 5% then there’s something wrong. What are the things that are wrong? 5% or less than 5% is really the number that is at play. [0:10:01] Question 2: [FB Ads] When doing detailed targeting, should we always add "Online Shopping (Interest)" and/or "Engaged Shoppers (Behavior)" in to one of the conditions? Do you/have you ever tried this personally? How is the result? NEXT question: . Could you please explain/confirm if it is still an important thing to concern on ad placement? And do we have to do it when scale the ad? First of all, magic thanks Fred for everything you’ve created to support and inspire everyone to be an online entrepreneur. I have 2 questions to ask. If you have to choose only one, please answer the first. [FB Ads] When doing detailed targeting, should we always add “Online Shopping (Interest)” and/or “Engaged Shoppers (Behavior)” into one of the conditions? Do you/have you ever tried this personally? How is the result? Fred: That is a really great question that you brought up. And my answer to you is that you have to test it out because at the end of the day each niche is very different, each targeting is very different. Some targeting may not work when you actually flex it down with people who are engaged shoppers and when you don’t flex it down, it may actually work so ultimately when it comes to Facebook ads it’s all about testing. It’s not rocket science. You don’t want to guess. You want to actually spend $5, see what the results are to determine based on what the data actually tells you. Now to answer your question I have been testing here and there sometimes with the “engaged shoppers” list and the “Online Shopping (Interest)” but I do have to tell you it doesn’t really perform that well for me maybe it’s because of the niche that I’m actually in. But again, I’m not going to give you a confirmed answer because I don’t own Facebook and the reality when it comes to advertising on Facebook and even on Google is that you want to advertise first with just $5 a day and let the data tell you if it is working or not. That is the best data that you can have and the best decision that you basically should make after you actually have those data. [FB Ads] I read through you FREE E-BOOK of 5 steps to start an online business. You mentioned about selecting the Ad Placement in mobiles which are only connected to WI-FI for better conversion result. However (If I’m not mistaken), I didn’t hear you mentioned it in Zero Up Lite VDO Training or any other videos. Could you please explain/confirm if it is still an important thing to concern on ad placement? And do we have to do it when scale the ad? Thanks in advance Fred for everything. Sorry for my imperfect English too. The answer is I have to update my book. I’m not going to make any excuses; I have to update the book. Actually right now, checking of Wifi is not a big deal anymore unless if you are basically advertising what we call VSL so when a person actually goes to a landing page and all there is a big video that people have to watch for a long time then you basically need to make sure that Wifi is turned on. However, nowadays because LTE is so fast and people are trained to buy online from their mobile phone so you don’t really have to check the Wifi only when it comes to an eCommerce product which I think that’s what you are working towards on right now. So again, the answer to the question is it’s not going to make a difference unless if you actually have a landing page that uses a VSL which is like at least 20 to 30 minute-long video then the Wifi will make a drastic difference when you are advertising and scaling with your ads. I hope that helps you, Jay. 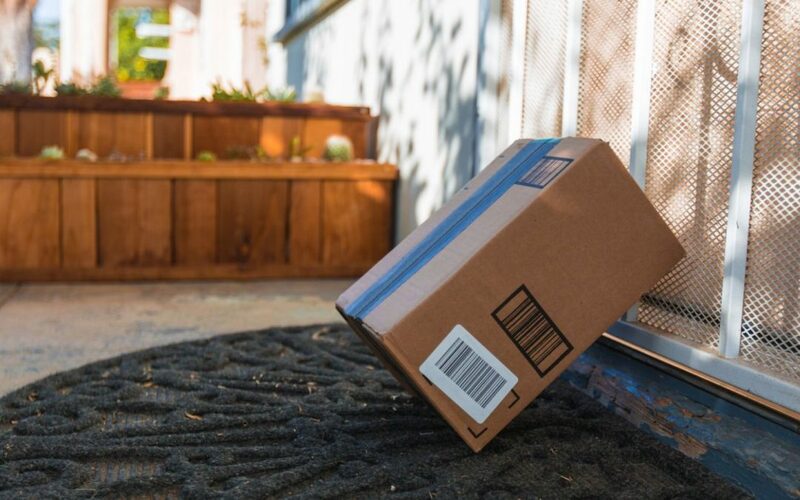 [0:14:05] Question 3: Have you used Salehoo to find American suppliers who want to reach drop shippers? Hi Fred! Have you used Salehoo to find American suppliers who want to reach drop shippers? You can make a markup, a healthy margin and mark it up and you can actually profit right and in between. Making sure that they are allowing drop shipping and it’s not whole selling. They actually ship the product for you on your behalf and they’re not whole selling and basically you are buying in bulk. You have to make sure that you can create a relationship with that vendor because it’s very important that you can build a relationship with them especially if they’re through Salehoo which I know that a lot of them are American suppliers. You want to build relationship with them and work with them to get a lower cost because the reality is that even on Aliexpress when you can sell a lot of products with one specific vendor well guess what they will honor a better price for you and that’s where you make more margins moving forward. Last but not the least, you want to double check the processing time. Each drop shipper has a different processing time. You want to make sure that the processing time is going to be like 3 to 4 days, so it should be out of the door in 3 to 4 days. The inventory which is the last part is very important. How are you going to be stay alerted about the inventory because obviously you don’t want to get into a situation where you are selling a product and you run out of inventory? 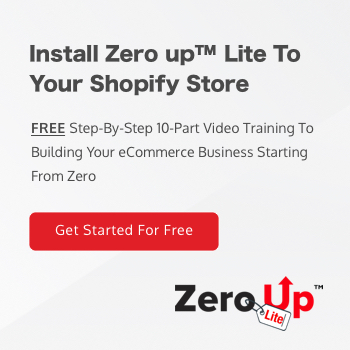 I actually had that happened with one of my drop shipping store and it killed my business badly. That’s not what you want. You want to make sure that you stay in communication with the vendor, talk about the pricing, talk about the inventory, and talk about the processing time so that you yourself are not basically left hanging if any problem occurs. This doesn’t just apply in Salehoo; I mean in general and any other places that you are trying to find a drop shipping personnel. [0:16:28] Question 4: What do you think about using a general store to be able to test products in multiple niches in order to find a hot selling product to base a niche specific store on? That’s a really good question. I have a lot of people that I know of that did really, really well in the general store and then they took those products and started building niche stores. That is absolutely fine but as you know that’s going to be more work for you right out the gate. There are pros and cons on using the strategy. 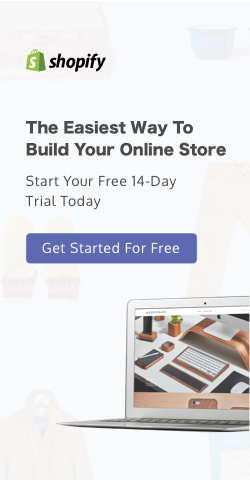 One of the pros is you can quickly test a bunch of products and then create a new store and basically create a niche store just for that product and your first store is primarily using for testing. However, the thing is that well, what are you going to do with that general store? Do you have an email strategy in place or a back-end strategy in place to actually make your money back? Because it is still a business on its own and you want to still figure it out. For the niche store, one of the cons is that you’ve been putting a lot of money and investing to the general store, getting the pixel data in place but when you start a brand new that niche store may not do as well because it doesn’t have that pixel data. If you want to build multiple stores and do this that’s absolutely fine. I even encourage it but I always see there’s more work or doubling your work right out the gate. However, when you basically want to actually retain those pixel data to go into a brand new account you can have a business manager account like I always recommend you guys to use and you can share the pixel information from your general store to your niche store so that your niche store has basically a kickstart right away for that business. So it is a good strategy that you go after but again it’s just that it’s going to be doubling your work and if you’re fine with doubling the work then you can actually use that method and simply use the general store to simply test products and once you find your niche then move on to the niche store. That’s what I would suggest you do. [0:19:50] Question 5: I wanted to ask that FB ads are more compulsory than the Instagram or Google ads? Please tell me. Moving on to the last question of the day. It’s by Nabel Haider. I wanted to ask that FB ads are more compulsory than the Instagram or Google ads? Please tell me. Here’s one thing that I do have to say, at the end of the day when it comes to Facebook, Google and Instagram they’re technically somewhat the same but it’s just that the behavior on the other side of the person who is actually in those networks in your ads are just very, very, very different. I can’t say that Facebook ads are more compulsory than Instagram or Google ads or vice versa or Google ads or Instagram ads or basically more compulsory than each other. I just have to say you just have to play by the rules and play their game. That’s super important and as a matter of fact if we’re talking about play by the rules, the rules of Instagram and Facebook are the same because they are owned by the same network. Google is even stricter than Facebook so ultimately you just need to learn about what we call compliance so you are going to be compliant with your website, with your products and everything then you’re going to be absolutely fine. I didn’t really elaborate much on your question other than wanted to ask that Facebook ads are more compulsory than the Instagram or Google ads so I don’t know where you want me to go with that question. All I have to say is resubmit your question to me more in detail so it’s easier for me to answer because I don’t want to actually give you an answer to the question that you’re not looking for. Outro - KickStart 500 Winner! That’s really it for today’s daily huddle but like I said yesterday I was supposed to be here to announce the kick start 500 grant and I actually was traveling and I wasn’t able to announce who the winner is for our kick start 500. I just pulled it up right now to see who it is. If you guys like our daily huddle make sure you like the video on Facebook and put the thumbs up on YouTube. Make sure you follow me on Facebook and subscribe to my YouTube channel so you actually get notifications on when I’m actually going to come on live to answer all these questions. My goal is to answer as long as I can, as many days as I can to answer five questions in length and in details that can help you get unstuck. That’s the reason why I’m actually here every single day. Anyway, moving forward to our kick start 500 which was supposedly to be announced yesterday. The kick start 500 winner for this week is Tracy Novak. So Tracy said…It is actually hard for me to write this. It can be hard to admit you have fallen so far. I am 56 years old tired-stress single mom from Canada. I moved from Canada to Australia with my former Australian husband. After years of me working hard and having a house and two cars, traveling and nice life in Canada I [inaudible 24:13-14]. My husband left us broke in debt in Australia. I am alone here with no family, two children and have been struggling years and low paying jobs and having debts in employment. It’s getting harder and harder to work. I have been ill and recently been in a car accident. My passion is my daughters. That’s what keeps me hanging and trying to have my own business. I really want to give a better life for my girls…Alright I’m going to go in tears if I keep reading this. These are stories that inspire me and this is the reason why I chose Tracy. I know that your goal is to provide your girls of things that they need and I really support you for this so congratulations for winning that $500. 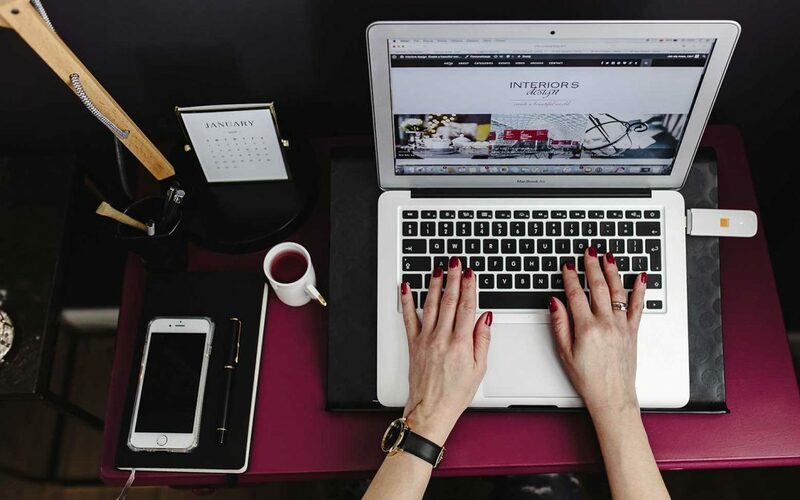 You’ll get an email from us very, very soon and I really want you to take that $500 and invest into your ecommerce store, go through my training and take action with it because once you’re able to start to experience it. Obviously, I’m going to give you that $500 to go through this so you don’t actually have to take out your money away from your family just to do this. You want to go through it and basically take action, be cautious when you look at the data and to invest wisely with that $500 in your ecommerce store. I want all of you guys to put in the word “Go, go, go Tracy” so that of Tracy is actually here she can see the support from our community which is from you guys too because obviously right now looking at this, this is a very inspiring story I know how difficult it is for an immigrant to go to a place that is like brand new and in debt and everything so I really hope that everyone of you basically put in the word “Go, go, go” and support Tracy at the same time. Tracy, I really look forward on basically getting on a call with you if you actually complete all your checklist and I really wish you the best of luck and really accomplish things. We have a lot of people saying “Go, go, go Tracy”. Tracy if you’re watching this, I know that you are very brave. I know that you’re amazing and you deserve more and better. You just have to understand that. You just have to believe in it and believe in yourself and everything will unfold. That’s all I have for today’s daily huddle. Again, I am now back. I don’t think I will be traveling again anytime soon. I will be here every Monday to Friday. Timing-wise I’ll try to be on at around 6PM Pacific Time, 9PM Eastern but it really depends on my schedule. Other than that, seriously subscribe to my Youtube channel; follow me on Facebook to get instant notification on exactly when you guys are basically going to actually see this. I look forward on seeing you guys tomorrow and keep in mind you have to keep hustling and you have to keep go, go, go on building your business. Bye now.